Since its release, Man of Steel (2013) has divided critics between elation at its reinvention of the popular Superman myth and disappointment that it has failed to deliver on its much hyped premise. Indiewire has a very good in-depth breakdown of the best and worst of what the film has to offer. To the site’s credit, its description of the film’s family theme almost made me revaluate what I had seen and it moved me to believe I had witnessed a strong interpersonal drama. However, on reading back through my notes I was reminded of how hard it was to care for or engage with any of the characters in the film. I am not enough of an expert in superhero franchises to provide a definitive account of the strengths and weaknesses of the way Man of Steel developed its story but I will try to make some points about how the film’s stereoscopy had an effect on making that development happen. In an approach that seems to be trying to offset the problem the film has in eliciting identification between characters and audience, various shots bring us extremely close to its central figures. The opening shots, when Clark/Kal-El’s mother Lara is giving birth to her son, are filmed in extreme close-up. There are small glimpses of her face and hand where the texture of the image becomes haptic and indistinguishable from any sense of deep space around them. There isn’t a profound sense of stereoscopic depth but the haptic nature of the images, combined with the gentle stereoscopic effects mean that the screen plane is impossible to determine. A similar set-up is returned to at various points in the film. When a young Clark/Kal-El locks himself in a cupboard at school, there are tight close-ups on his face. In this case his face is more easily discernible but the sense of closeness remains. The same happens in one of the later battles scenes when the enemy, Zod, is shown within a very tight close up. Only his eyes and nose are visible and they seem to bulge into the audience’s space. In a later shot, the same happens with a close-up of Clark/Kal-El. By using stereoscopic depth, the shots are able to suggest a touchable, palpable quality to the characters but this provokes intrigue rather than sympathetic engagement. 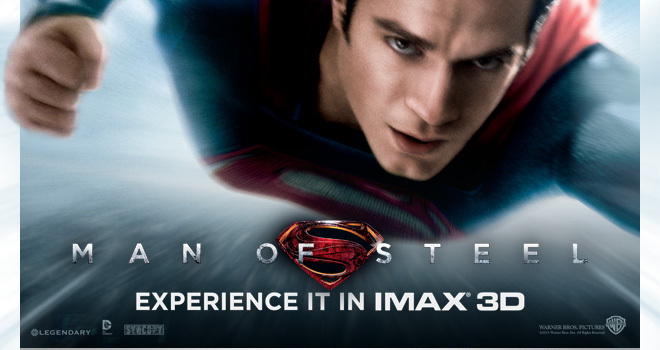 The way in which stereoscopic effects provide intrigue rather than involvement in the film continues throughout Man of Steel. During initial scenes, shot on Krypton, lens flare occurs. Unlike its recent use in Star Trek: Into Darkness (2013), where it provided multiple planes of depth, in Man of Steel it delivers a scrim type of screen that separates the area of the auditorium from the action that appears in positive parallax, behind the traditional plane of the screen. A similar type of set-up is used throughout the film although there are some shots, most commonly those that place characters in the foreground, where body parts bulge slightly into the auditorium. 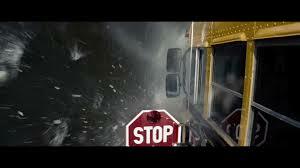 Throughout the film, this is about the limit of negative parallax that is used. When Jor-El, Clark/Kal-El’s father, dives underwater to escape enemies chasing him on Krypton, there is a hint at the thick space created in stereoscopic underwater scenes but there is little sense that the space breaches and enters into the viewer’s physical space. The particles and bubbles that are seen are more often in positive parallax, far away from the viewer’s body. This set up is repeated when Clark/Kal-El also finds himself underwater in a later sequence. Shortly after, when Lara and Jor-El argue about what to do with their baby, an intimate shared space is created between them by the use of dust particles crossing different depth planes. However, these dust particles rarely occupy an overt place in negative parallax and so the intimate space is not shared with the audience. When Clark/Kal-El embarks on a rescue mission to save men trapped on a burning oil rig, embers float around the screen space, but again not in negative parallax. Although it might seem that these points are mundane, the reason I am making them is that these moments reference classic set-ups now seen repeatedly in digital 3D films but their full stereoscopic potential is not realised. Another classic set up for stereoscopic films is initiated when the school bus carrying Clark/Kal-El swerves and goes over a bridge. As it crashes into the water, liquid is thrown up and towards the audience but does not fully enter negative parallax space. In a final nod to the use of floating particles in stereoscopic films, there is a brief scene in a snow storm when Clark/Kal-El walks out of a bar. The decision for the snowflakes to stay mainly in positive parallax seems, by this point, to be an indication that the film is determined not to follow in the footsteps of the trends initiated in other 3D films. In a similar way to the lens flare, these moments make it seem as if a screen is placed between audience and action and that a thick, textured action space lies behind it but not in the auditorium. It is only much later in the film, when the actions sequences accelerate, that negative parallax is employed more frequently. When the battle between the enemy, Zod, Clark/Kal-El and the humans intensifies, there is a tendency for the typical stereoscopic debris found in battle – exploded material, fragments of building, crushed rock, smoke, embers and fire – to be projected into the auditorium. These effects are combined with intense sound effects, fast camera movement and an overwhelming visual image that is relentless for the last quarter of the film. A signal that the film is going to present itself more forcefully towards the audience comes just before the shift into this final action quarter, when Clark/Kal-El has just finished experimenting with his flying abilities. After crashing back onto the ground, his hand reaches out over a piece of rock and seems to extend towards the audience. This shot is almost repeated at a later point when Zod’s hand crushes dust in a tight close up that extends towards the audience. In each case, the film seems to be trying to tell the audience that they are imbricated within the personal drama of these central characters. However, in a similar way to the close ups, it seems as if the visual field is desperately trying to create a relationship between audience and characters that the film’s plot has failed to deliver. What was most interesting for me was the update to data communication screens commonly seen in contemporary science fiction 3D films. 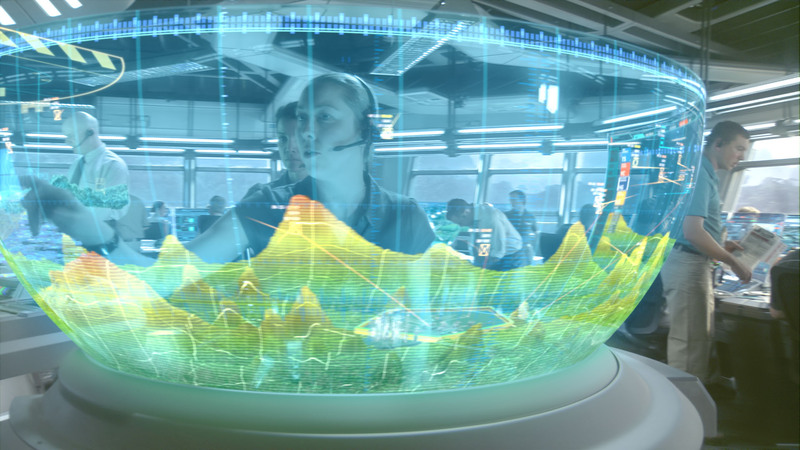 Various films such as Avatar (2009) and The Avengers (2012) have used stereoscopic effects to show off translucent telecommunication screens. They seem to suggest that we are only a generation away from tactile screens that, unlike the hard bodied touch screens we currently use, will be transparent and weightless. The first film to add a variation was Prometheus (2012) which included screens that formed images in a way not dissimilar to the pin-sculptures that were popular in the 1990s. In Man of Steel a similar type of screen is the main communication device used on Krypton. 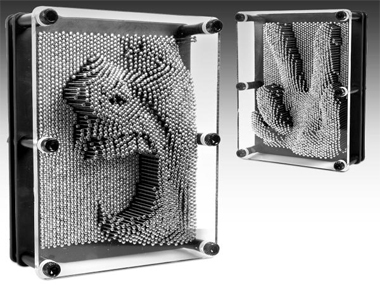 The first images of baby Kal-El appear on one of these: a screen housed in a floating oval construction made from metal that visualises data in sculpted three dimensional depth. Although it visualises the baby as it appears in the womb, the body of the foetus appears to pop out towards the viewer. These data interfaces are used at various points during the film and I think it is worth making a bold claim here: that they reflect the move towards 3D printing in recent years that is returning us to a sense of tactile engagement with data in a way that was overlooked with our focus on projected images since the birth of cinema and in later reincarnations such as television and computer screens. Sadly, the fact that I find this to be the most interesting part of the film suggests that Man of Steel will not become the more memorable of the Superman films. For fans of the novel, Baz Luhrmann’s The Great Gatsby was always going to struggle to reach the imaginative heights of its source. In many ways the film indicates that it will produce its own distinctive version in order to pre-empt claims of insufficient fidelity. A framing narrative is added in the form of a psychiatrist encouraging central character Nick Carraway to write about his experience of meeting the lively millionaire next door, Jay Gatsby. Although this is the most obvious change, the development of the narrative between Carraway, Gatsby and the Buchanan couple, is also set out in new terms of visual reference that haven’t previously been applied to the Gatsby iconicity. The Great Gatsby starts with grainy black and white footage of the Warner Brothers and Village Roadshow logos. Although the film is a digital print, scratches, lines and other artefacts of analogue cinema technology are simulated on the screen surface. The aesthetic for the logos and the surrounding borders is 1920s Art Deco and the stylistic time period for the film is referenced in a somewhat nostalgic manner. As the opening continues, the frame expands from a 4:3 looking ratio to widescreen. It is not dissimilar to the moment in the recent Oz the Great and Powerful (2013) where the visible borders of the screen frame also expanded. Like Oz the Great and Powerful, this moment also introduced a change to colour but unlike Oz the Great and Powerful, the use of stereoscopic effects are held off until this moment occurs. The change to dazzling golden colours and the sense of receding depth in crisp digital signals that the film may be drawing on the style and essence of 1920s Americana but it is an entirely new visual experience with its own rules and recalibrations of the past. This signal in the opening, combined with the directors tendency to rework aesthetic styles, means that seemingly incongruous elements in the early 1920s setting can be easily overlooked– the heavy bass heard coming through the floor at Gatsby’s party, the impossibly small hand-held movie camera that Nick uses later in the film. The Great Gatsby not only breaks with historical fidelity but also with some of the tenets of digital 3D that suggest the frame should become a window onto a naturalistic vista. Similar to the recent Star Trek Into Darkness (2013), lens flare is brought into play and it seems significant that this takes place in the first shot following the opening. As the cameras travel across the sea waters, the lens flare reminds us of the cameras in place and that the visual field is entirely a construction made for our benefit. Similarly, the insertion of archival style footage – grainy, stereoscopic colour footage of New York and grainy black and white footage of the Great War – does not build a relationship to documentary truth in the same way that occurs when archival footage is inserted into other films. Instead there is a clear gesture that multiple visual fields can be employed and no one visual style takes precedence over any other. When snow flutters across the screen space its direct intrusion into the auditorium is just the beginning of The Great Gatsby’s audacious display of the visual trickery it has up its sleeve. Throughout the first half of the film, similar material is thrown towards the audience in negative parallax – snow returns as the cameras slink out of the window to the psychiatrist’s office, voluminous white fabric flows around the Buchanans’ living room as we are introduced to Daisy and Jordan, feathers dart around the auditorium during the pillow fight at Mrs Wilson’s apartment and confetti is thrown around the screen space at Gatsby’s party. At other points in the film, significant lines of dialogue are written out in fanciful letters that float off the screen and towards the viewer. These various moments are often considered gimmicks in stereoscopic filmmaking and a sign of a film that will not let its viewers become absorbed in the narrative. However, their employment seems particularly justified here as The Great Gatsby is from a director that has made a career from placing stylistic concerns first. In this instance, distance from the narrative is what is often needed so that criticism rather than worship of the characters’ exuberant lifestyle can be entertained. While the party scenes at the Gatsby mansion are exciting and enviable, the truth of the era is most clearly seen in the kitsch clashing colours of Mrs Wilson’s apartment and the gross, petty excess of the partying within. While I have focused mainly on the visual elements of the film, there is noticeable use of music and sound throughout. In a similar manner to his other films, Luhrmann combines contemporary music with music that resonates with the loose time period of the film. There are also moments of aural assault that are every bit as intrusive as the negative parallax. When the characters travel to Manhattan, the car’s engine noises, and braking squeaks drill through the auditorium. Similarly, when they arrive at a hotel in Manhattan, the splintering sound of a block of ice being broken up is almost unbearable on the ears. Although the stylistic premises are well informed, the combination of Luhrmann’s aesthetic tendencies and 3D filmmaking are not as well shared as they could be. Fast camera movements and frequent cuts are used from the beginning of the film, making it hard for the audiences’ eyes to take in the full depth planes unfolding in their visual field. There is also a great deal of strobing at the beginning of the film, even from simple movement such as a character walking across the screen. Although the strobing seems to occur less and less as the film continues, there is an obvious case for why a higher frame rate technology might have been beneficial for the film. I do not want to suggest that 3D artefacts such as strobing cannot be put to stylistic use but in this case it seemed as if they were working against the intention of the director’s visual choices. Although there are some interesting extreme close-ups, on Daisy in particular, the fast editing often makes it feel as if the director didn’t trust his cast to pull off sufficient performances and so never allowed his camera to linger. While this does have the effect of distancing the audience further from the characters and preventing a type of identification that might have undercut the film’s social critique, it does seem a waste of the stereoscopic technology that can highlight details of actors’ performances that are not otherwise seen. As Pam Cook points out, the use of screen barriers throughout the film (windscreens, windows) does a much better job of using stereoscopy to create distance. 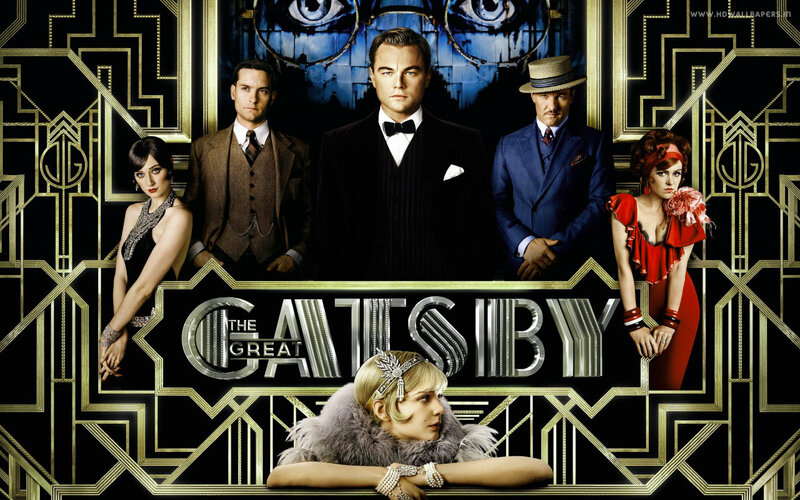 Due to it pure exuberance and dynamic visual fields, The Great Gatsby is likely to leave a greater mark on cinematic history than its critics may wish. It made far more money at the US box office than anyone expected considering mediocre reviews. It is also one of the more playful 3D films to emerge from the recent digital crop. Whether future films are able to combine its visual zeal with effective stereoscopic effects is something I think is worth holding out for.